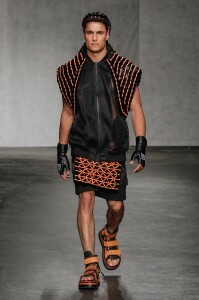 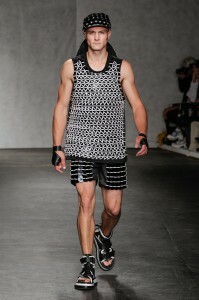 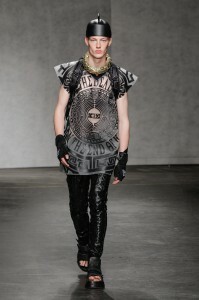 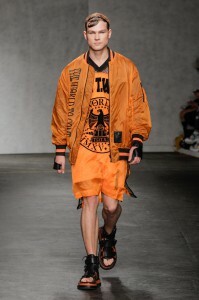 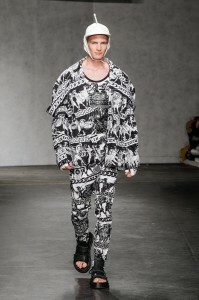 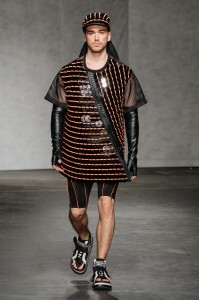 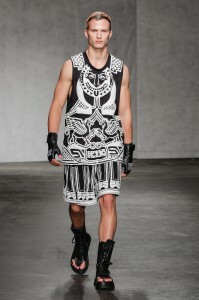 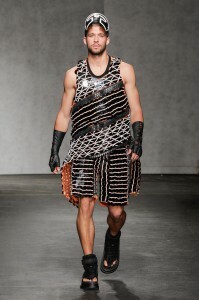 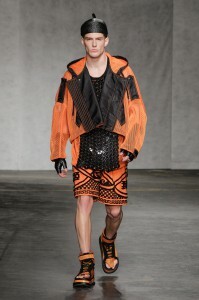 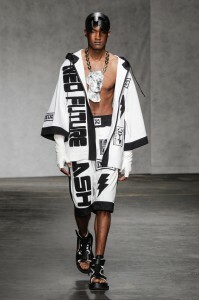 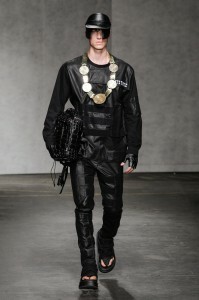 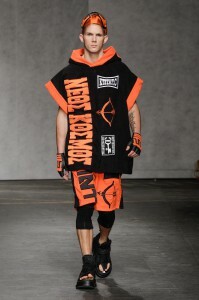 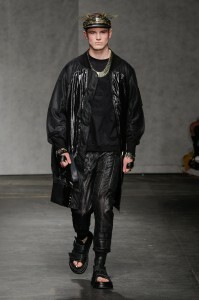 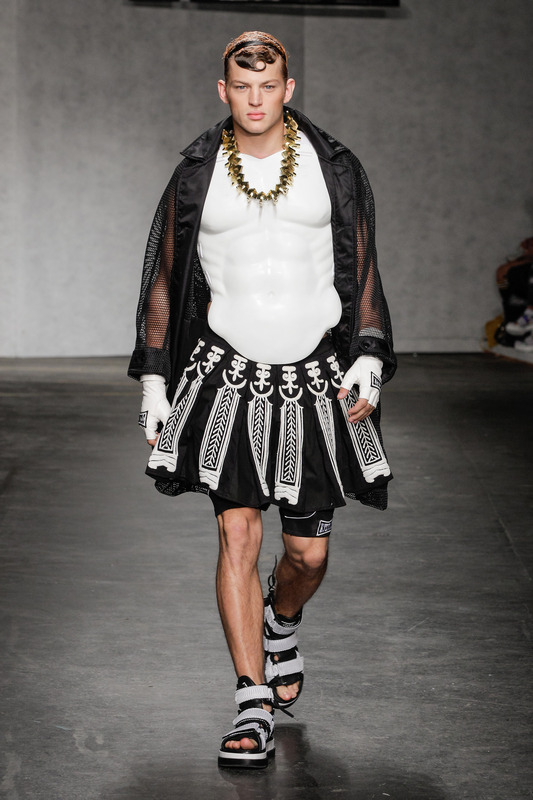 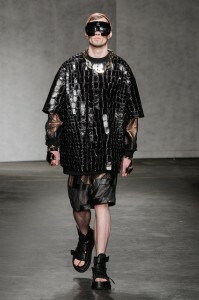 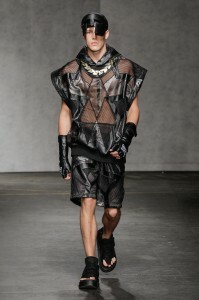 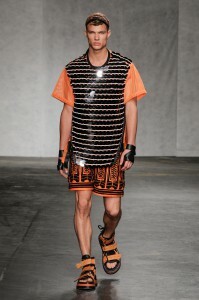 The KTZ troupe marched down the runway like urban warriors inspired by Greek gods, the thumping music spurring them on. 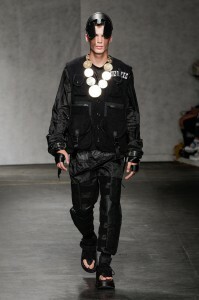 Wearing Zeus around their necks on a leafy gold chains like a piece of art taken from a museum collection. 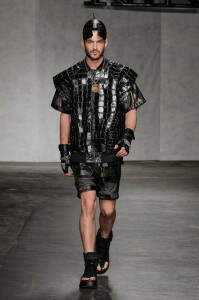 The obsession with the archaic times in this collection puts modern-day men in line with the likes of ‘Perseus fighting the minotaur’, the difference being the modern man has the streets to battle with, solely armed with technology. 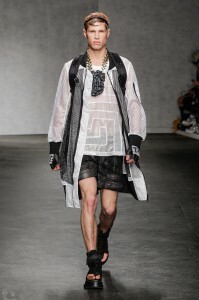 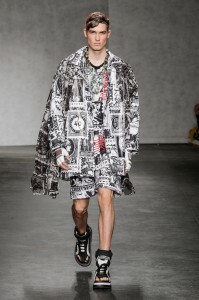 The signature KTZ look of monotone colours and street wear styles got a mythological update too with spiraling embroidery revealing hidden faces on the canvas of over-sized t-shirts and straight leg shorts. 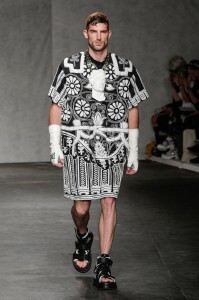 Hats were adorned with golden wings and open-toed ‘trainer sandals’ had their debut in this collection. 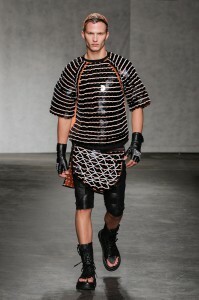 Large sequins and weaved vests became armour and leather hats that became helmets, with the added protection of visor like sun glasses. 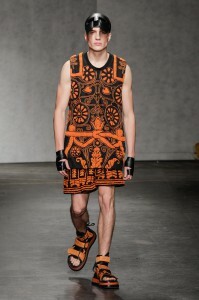 Bright acid orange became the shade of choice, as it was the colour used in many ancient Greek vases. 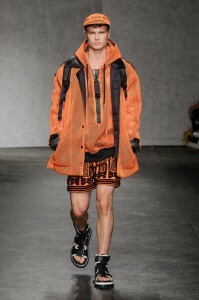 The colour engulfed everything from long length t-shirts (worn as dresses obviously) to experimental ponchos with mesh fabrics and sportswear shapes that dominated. 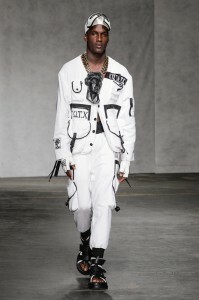 The urban warrior is one thing that KTZ was set to capture with ease as their collections always speak of a dominating, head-strong male whether their faces are painted white or framed in gold.